Blog post inspired by: the beginning of a new year, one full of a whole lotta changes. Okay so I'm definitely a little late to the party as somehow we are already two days into 2016 but a very belated HAPPY NEW YEAR to you all! I'm always excited about January. Even though that means Christmas and the festive period is now over, January still has that exciting feeling that now is your time to start over. I've seen so many resolutions posts across the blog world the last two days and some of them have actually been really inspiring. They pop ideas into your head and mean you are aiming for something. However, I've never been one for resolutions particularly. I find them a bit restrictive and I never really stick to them particularly. So this year I thought I'd set out some loose blog and life goals with the hope that when I come back to this in early 2017 (perhaps I'll be on time that year) I'll maybe have reached those goals. 2015 was a really great year for me. I don't want to blow my own trumpet but among other things 2015 was the year I graduated with my law degree - something that at some points throughout the four years seemed like would never happen. I've also made some amazing memories with friends and family; kept hold of my most special old pals as well as making a group of fun new crazies on my legal practice course. It's been a positive year and fingers crossed 2016 will bring much of the same. It's a big year ahead with the culmination of the legal practice course, the big move back to the central belt and then finally the beginning of my first real life proper adult career job in August... there's lots to be excited (and maybe a bit nervous) for. So here's my Blog & Life Goals for 2016... perhaps they'll help you set some goals or perhaps you can help me along the way with mine and keep me on track! Revamp my blog header - I love the font of my blog header but I can't help but feel that it is a little bit boring... I want to add a little illustration to it as I always have loved drawing and think it would be a nice personal touch. I have an idea but I need to work out exactly how I'm going to transpose it from paper to computer without looking shoddy. Make all photos the correct size - Ever since I got this new layout my photos haven't been the correct size and it takes forever to change them all!! I'm also worried that if I change them all to the correct size for this layout what will happen if I change again? Does anyone have any tips for helping with this? Try and create a loose theme on Instagram - I've been trying to create more of a cohesive feed on Instagram for a while. I tried out a very white theme and then a very pigmented theme but haven't fallen in love with either. I know you don't need a theme but I always think it looks far more pleasing to the eye. At the moment I'm loving @livpurvis, @sineadcrowe and @imii.mace's feeds... anyone any tips on how to make my colour scheme etc remotely similar? Create an editorial/blog calendar - I think the downfall of my blog is that I've never ever had any sort of blog schedule. I've always just blogged if and when I feel like it - which is no bad thing. However, it's clearly not worked for me recently. Previously it worked when I had far more spare time on my hands. Now in my 5th year and with lots of stuff going on outside uni, I think now is the time to have more of a plan to follow if I want to be able to juggle everything more effectively. 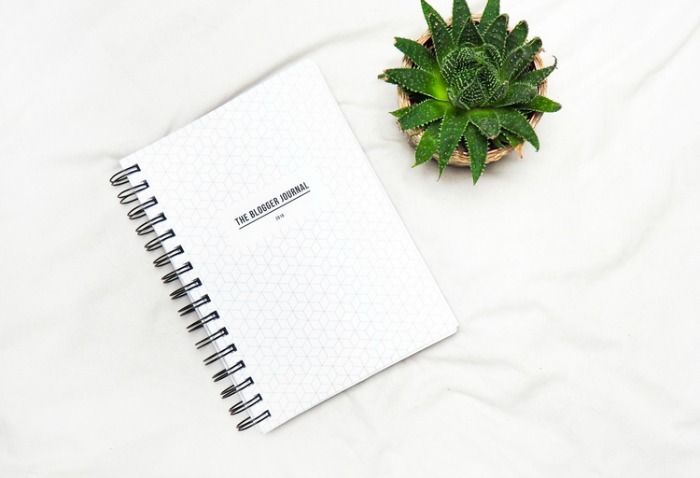 I've just ordered Stephanie's Blog Planner so I'm hoping that will help me on my way to being a bit more consistent in this hobby of mine! Make photo albums - Even though I obviously have Facebook every year I order prints of my favourite photos off a photo printing website. However, for the last 5 years they've just sat in a box. I'd love to order some of those massive photo albums from Amazon/Ebay and sit for a few days and make albums. There's something just so satisfying about sitting flicking through real life albums rather than on your computer. Pass my driving test - This goal has been my nemesis for the last 6 years. Driving just isn't my thing. I find it downright terrifying which means my nerves always get the better of me when I go to sit the test. 2016 is going to be the year I conquer that. Fit in fitness - I know this is such a common goal but after reading Millie Mackintosh's book I am 100% 'skinny-fat'. I'm not going to aim to look anything like her or come anything close but to even do some form of exercise once or twice a week just to improve my health a little is definitely a realistic goal. Rather than buy a gym membership however I think I'm going to try running outside and yoga or 7 minute workouts at home. Make meal plans - on a similar vein I'd love to make more meal plans and stick to them. I think I eat pretty well at the moment but would love to incorporate a bit more fruit and veg into my diet and am perhaps going to try to have a couple of vegetarian days a week in my diet. Keep on top of uni work and Her Campus - So far uni is going quite well but I could definitely be a bit more on top of my work and be a bit more organised. The same goes for my work with Her Campus so I'm going to make the most of my famous lists to keep more on top it. Take on travelling - Finally, travel is a big thing I want to conquer in 2016. I am very very much a home bird and have never been away for more than 2 weeks. I've also barely been out of Europe. 2016 is the last year I will have an extended holiday so this year I'm planning on actually pushing myself out my comfort zone and heading off somewhere. I'm also planning trips to visit friends in London as well as hopefully planning a ski trip for sometime in the next year or two... I better get saving. Phew... that turned out a bit longer than I expected. I'd love to hear what you think of my goals and any tips you might have for meeting those goals? 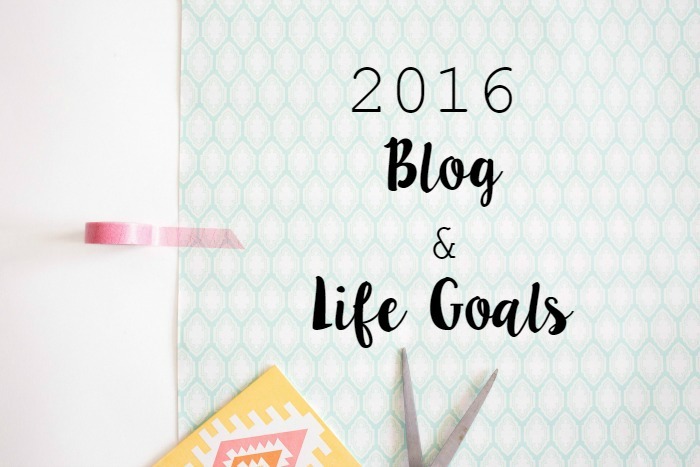 I hope you can achieve all your blogging goals! Congratulations on obtaining your Law degree! I like the simplicity of your blog design but I hope you'll get it where you want it to be. I know how frustrating that can be!